Sunday morning was sunny and clear - perfect for the 2016 Double A Spring Championship game between the Pirates and the Royals. These long-time rivals were the two of the top teams in the league in most runs scored and least runs allowed, and they always tend to place close games. 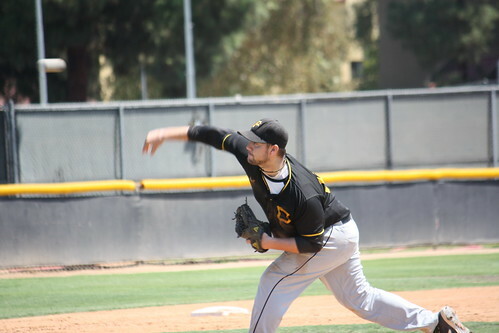 Micah Dunham took the mound for the Pirates and worked a quiet first inning. Will Chapman started for the Royals and returned the favor, leading to a 0-0 score after 1. 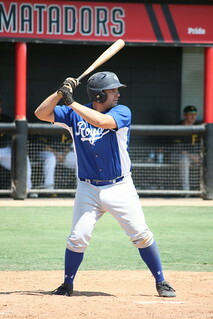 In the second, the Royals' Zach Sloane tripled with 1 out. Ryan Elliott singled him home 1 pitch later, giving the Royals an early 1-0 lead. Fast forward to the bottom of the 3rd, where the Pirates offense began to wake up. Travis Reed walked, but was erased on a John Smith ground out. The Royals botched the double play, leaving Smith on first. Manager Gio Smith and Dan Oh both walked, loading the bases and chasing Chapman from the game. Jake Romo entered, quickly striking out one and getting another ground out to escape the jam. After 3 innings, the Royals led 1-0. Dunham continued baffling the Royals' hitters, working a quiet 4th before the Pirates offense finally came through. Jesse Hirdler led off the inning with a sharp ground ball to third, reaching on a fielding error. But aggressive baserunning and an errant throw moved him to second base with nobody out. After a ground out moved him to third, he scored on a wild pitch, tying the game. Micah Dunham followed with a walk, and with 2 outs, Travis Reed blasted an rbi double to give the Pirates the lead. 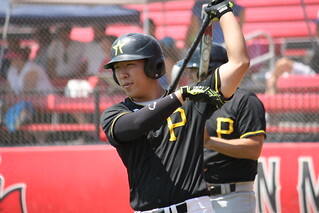 Zach Handy looped a single to center to plate another, and after 4 innings, the Pirates led 3-1. Both pitchers worked a quiet 5th before Romo ran into more trouble in the bottom of the 6th. With one out, Jesse Hirdler walked and Chris Norton singled. Royals' closer Brett Kahanowitch entered the game, and after striking out his first batter, got out of the jam with a pop-up to short. Meanwhile, Micah Dunham was on cruise control until the top of the 8th inning. Royals' manager Mike Miller led off the inning with a walk, giving way to designated runner Jake Romo. With 1 out, Greg Falk singled, and with 2 outs, Kahanowitch came up with a big rbi-single to make it a 3-2 game. But the Pirates came right back in the bottom of the inning. Jorge Leon led off getting hit by a pitch, and moved to second on a Dan Oh single. Both runners advanced on a wild pitch, and Chris Oliver walked to load the bases. Zareh Sobhatian got hit by a pitch to bring home 1, and Jesse Hirdler hit a sac fly to left to bring home another, leaving men at 2nd and 3rd with 1 out. Kahanowitch settled down to strike out the next two batters, but the damage was done - heading into the 9th, the Pirates led 5-2. 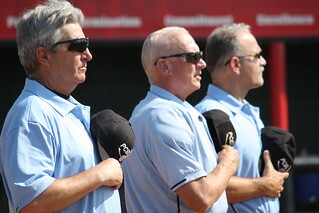 The PCBL Royals never give in, just like their MLB counterparts, and today would be no exception. After 2 quick outs, the Royals were staring down the end of their season when Will Chapman singled. Jason Bolding walked before Mike Miller came up and worked the count full against a tired Dunham. He'd hit a slow roller between first and second, narrowly beating it out while colliding with the first baseman. With the bases loaded and 2 outs, Phillip Gerber lined a single to left to plate 1 and put the tying runs in scoring position. 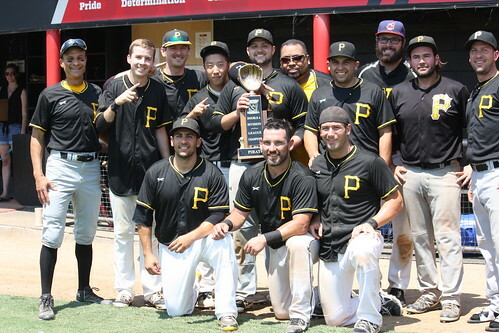 The next batter worked a full count, but Dunham had his eyes set on a trophy, and struck out the final batter to escape the jam and bring home the title. Congrats to both teams on a well-played game - they don't get much closer than that. 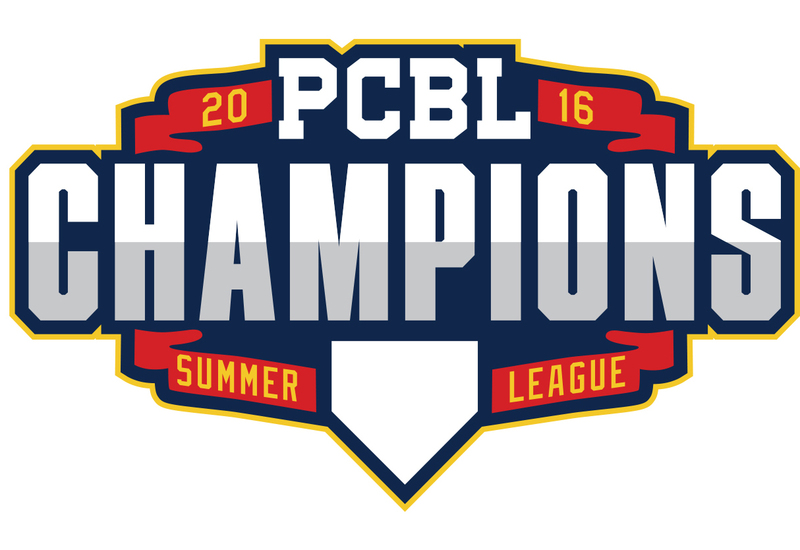 But most of all, congratulations to the 2016 Double A Champion Pirates for finishing strong and bringing home their first PCBL title! Congratulations to the 2016 AA-Division Champion Pirates!